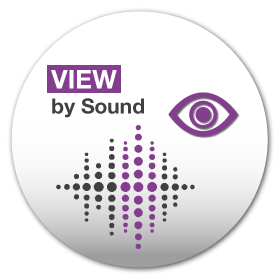 VIEW by Sound is an intuitive visual search interface that provides a holistic overview of media files. 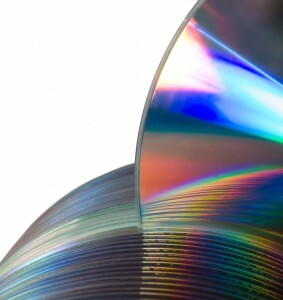 It delivers a new interactive experience for the exploration and search of music in large-scale audio repositories, allowing users to derive the most value from their media files. The search results are arranged visually, making it easy to find and discover content. 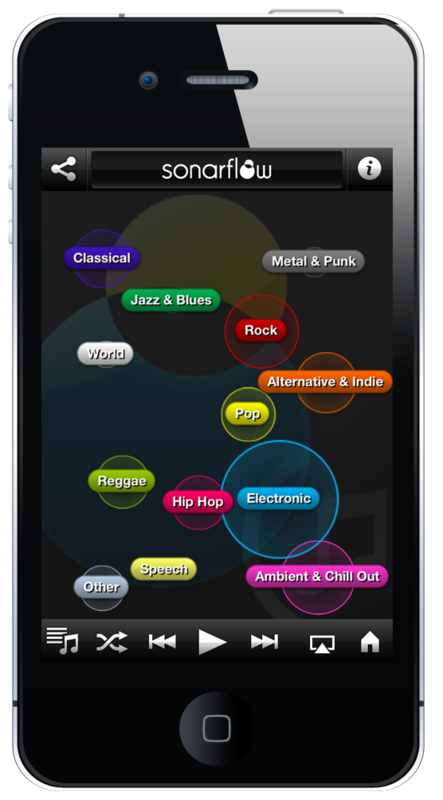 Based on VIEW by Sound, sonarflow is a consumer application powered by Spectralmind available for iPhone, iPad and iPod Touch. 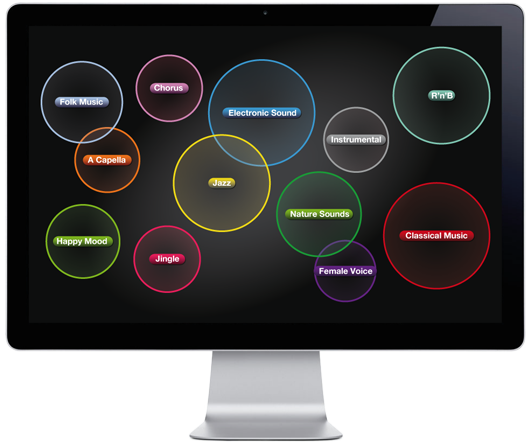 sonarflow is a fun, simple and interactive way to access your world of music. Listen, find and explore music you love with just a few quick taps. 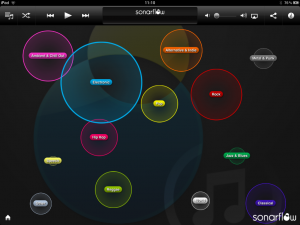 Swiftly navigate through your music library on sonarflow’s beautiful multi-touch display. 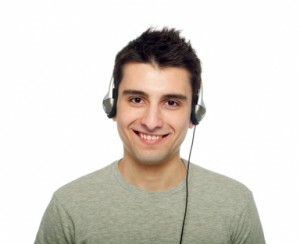 Create playlists according to your listening habits and visualize how your music is connected by acoustic relations. 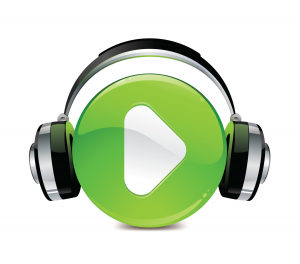 Tap on a band or artist to watch their videos and check out their bio. Mike is a musician who searches for music everyday. Bored of flicking down endless lists for hours to find the right track, Mike turned to VIEW by Sound for an interactive overview of his entire world of music. His library is now visually and intuitively arranged by genre. He pinches to zoom for artist information. creation has never been easier for Mike. Tapping twice on a genre plays all of its tracks. 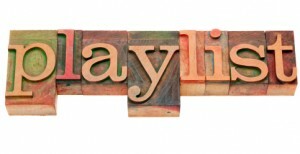 Mike can now play his preferred music without having to navigate through lists or submenus.